Have you just written a journal article, thesis, dissertation or text book? 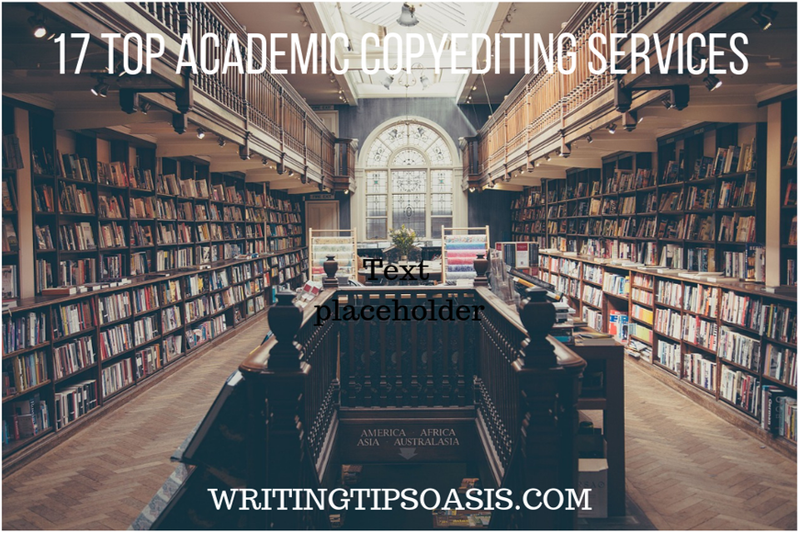 Are you now looking for providers of academic copyediting services? Continue reading to find out about 17 editors with expertise in academic editing. Karen Crosby is a Canadian freelance editor based out of Calgary, Alberta. She is the founder and senior editor of Editarians, an editing service that specializes in academic works in the APA Style. Whether you’re working on a thesis, dissertation, journal article, report, or academic text, Karen can definitely help you with your editing needs. She can help you with copyediting, proofreading, stylistic editing, manuscript structure, reporting standards, and written accuracy throughout your entire project. The best way to reach Karen is either via email or through her website’s online contact form. Be sure to indicate what your project type is, your project’s approximate deadline, as well as the Style Guide you’d most like to use. You’re strongly encouraged to contact Karen in order to receive a free project quote. You can also find more information about Karen through her Editors Canada profile. Dr. Sara Promislow is another Canadian freelance editor based out of Toronto, Ontario. She is an academic editor with over 16 years of editing experience, and is also the founder of Promislow Communications, an editing service. Sara is well-versed in numerous style guidelines, including APA, MLA, Chicago, and more. Services that she offers includes academic copyediting, stylistic editing, and substantive editing. If you’re interested in working with Sara on your academic manuscript, the best way to reach her is either via email or through her website’s online contact form. Be sure to provide a few details about your project, like the type that it is, it’s approximate word count, and when you’re hoping to have it returned by. Sara is more than happy to get back to you with a free quote. Cynthia Corliss is a freelance editor that specializes in technical, academic, and creative writing projects. Based out of Pittsburgh, Pennsylvania, Cynthia has prior experience working on journal articles, quick guides, technical manuals, textbooks, coursework manuals, and fiction manuscripts. Having earned a BA in English, Cynthia has the skillset and knowledge to help make your manuscript publication ready. She offers comprehensive copyediting services and manuscript formatting. The best way to reach Cynthia is via email to request more information or a free project quote. Ellen Kaplan-Maxfield is a freelance editor based out of West Roxbury, Massachusetts. She is also the owner and operator of MiddleoftheNight Editorial Services. Specializing in scholarly works, Ellen offers a wide range of editing services like academic copyediting, developmental editing, substantive editing, book design, typesetting, manuscript layout, and ebook formatting. She also offers comprehensive book indexing for those looking for a more thoroughly put-together reference system. Having worked on projects like “Dark Matter: Invisibility in Drama, Theater, and Performance” by Andrew Sofer, “Archives of the Black Atlantic: Reading between Literature and History” by Wendy Walters, and “Human Expeditions: Inspired by Bruce Trigger” by Andre Costopoulos, Ellen is definitely a talented academic copyeditor. If you’re interested in working with her, the best way to reach her is via email. Based out of Newport, Rhode Island, Jannette Van Gruisen is a freelance editor who’s capable of editing a multitude of different written projects, including academic manuscripts. She holds a Certificate in Copyediting from Emerson College, and is also a member of the Modern Language Association and the American Copy Editors Society. She has worked with authors like Andrew McNabb, Cay Electronics Inc., and several Harvard University students seeking editorial assistance. Services that Janette offers includes developmental editing, copyediting, and proofreading. Since all projects very in length, subject matter, and require different levels of editorial attention, it’s highly recommended that you contact Janette to request a free project quote. You can reach her via email and can expect to hear back from her promptly. From Green Cove Springs, Florida, Merrie Bergmann is a freelance academic copy editor with over seven years of experience in the editing field. She is a retired professor of computer science and philosophy, and has experience as a published academic author. She loves to work on scholarly projects about the humanities, social sciences, mathematics, computer science, and even engineering. She is also the founder and operator of Academic Copy Editor, and editing service. Services that she offers includes proofreading, copyediting, style manuals, ESL/EFL editing, and even manuscript file formatting. For regular copyediting projects of more than twenty pages in length, Merrie charges roughly $17 per page for a 7-day turnaround. If you’re hoping for a rush job for the same length of project, she charges a flat rate of $19 per page for a 3-day turnaround. For more information, you can review her editing service pricing here. If you’re interested in working with Merrie, you can contact her via email or through her website’s online contact form. Based out of Malvern, Pennsylvania, Holly Monteith is a freelance editor with nearly seventeen years of editing experience. She likes to work primarily on nonfiction and academic projects like journal articles, nonfiction books, dissertations, and theses. She has worked with a number of students from universities like Capella University, Trinity International University, Johns Hopkins University, and University of Phoenix. Services that holly offers includes nonfiction book editing, doctoral dissertation editing and thesis editing, scholarly journal editing, and even organizational report editing. She has a thorough knowledge of Style Manuals like APA, Chicago, and more. You’re more than welcome to reach out to Holly through her website’s online contact form or via email to request a free project quote. Dr. Domenica Newell-Amato is the founder and editor at Content Editing Lab, an editing service based out of Saratoga Springs, New York. Having earned a doctorate in French Literature and an MA in French, Domenica now works as a freelance editor and copyeditor primarily for scholarly works about the arts and humanities. She loves to work with academics hoping to edit doctoral dissertations, articles and books, and is capable in assisting with the research process. Additional services that she offers includes manuscript formatting, stylistic editing, MLA, APA, Chicago Style Guides, translations from French to English, and even website writing. She adheres to the Editorial Freelancers Association service rates, but it’s still a good idea to reach out to Domenica for more information and to receive a more accurate project quote. The best way to get a hold of Domenica is via email or through her website’s online contact form. Founder of ELM Communications, Eleanor Mayfield is a freelance editor with over 25 years of experience working with scholarly projects. Based out of Pittsburgh, Pennsylvania, Eleanor is an award-winning editor that specializes in health, medicine, and biomedical sciences. She has worked with clients like the American Institute for Cancer Research, the Children’s Hospital of UPMC, and the US Food and Drug Administration. Services that she offers includes substantive editing, copyediting, writing, rewriting, and even project management. If you’re interested in working with Eleanor, you’re strongly encouraged to reach out to her via email to request a free project quote. For more information, you can also find her profile on LinkedIn. Based out of Nutley, New Jersey, Karen L. Wallace is an American freelance copyeditor who specializes in technical, academic, business, and literary materials. With over 20 years of experience in the editing field, Karen is especially interested in working on projects about linguistics, speech technology, political science, government, literature, fiber arts, and traditional crafts. Her expertise lies in copyediting, where she will identify and correct any errors in your manuscript. She will double check for spelling errors, grammatical errors, punctuation issues, and word-use errors to make sure that your manuscript flows perfectly and is ready for publication. If you’re interested in working with Karen, the best way to reach her is via email. You can request a free project quote, and Karen should reply to you shortly. Naomi Burns is a freelance editor who specializes in nonfiction, scholarly works, and professional writing. Based out of Boone, North Carolina, Naomi has worked on projects like “Margaret Mitchell’s Gone with the Wind” by John Wiley Jr., “Work-Life Balance in the 21st Century” by Dr. Jessica Nicklin, and “The Wright Company: From Invention to Industry” by Edward J. Roach. She is also the founder of Marquard Edit, an editing service. She offers copyediting and proofreading services starting at $30 per hour, and also offers copyediting and proofreading services for shorter works like reports, journal articles, and slideshow presentations at a rate of $40 per hour. She is happy to provide you with a free project estimate upon receiving a representative sample of your work. If you’re interested in Naomi’s service, you can contact her through her website’s online contact form. Kevin Eagan is a freelance book editor based out of Davenport, Florida. With almost 10 years of experience in the editing field, Kevin loves to work on a wide range of projects including academic journals, book manuscripts, articles, and web copy. He prefers to work on academic projects about the humanities and social sciences. He has worked with authors like Jessica Platt, Nicole Hennig, and Allen Bagby. Editing services that he offers includes substantive editing, copyediting, proofreading, book layout and design, manuscript formatting, fact-checking and research assistance, and small document editing. He charges rates in accordance to the Editorial Freelancers Association’s rate guidelines, but encourages you to reach out to get an accurate project quote. You can reach Kevin either through his website’s online contact form or via email. He should respond within 24 hours to discuss your project. Richard “Rich” Burck is a freelance editor and founder of Rich Proofreading. Based out of Fullerton, California, Rich loves to work on academic projects about history, culture, Christianity, and travel. With a degree in German and a minor concentration in history, Rich is well-versed with Chicago and MLA Style Guidelines. He offers editing services at a rate of $35 per hour and offers manuscript proofreading services at a rate of $3.00 per page (where a page is roughly 300 words). He can help to identify and correct any issues with style, structure, flow, spelling errors, grammatical errors, and so much more. You can request a free project quote by reaching out to Rich via email. Maria H. Rogers is the founder of BiblioGenesis, an editorial service based out of Ithaca, New York. Having earned a PhD in Classical Philosophy from Brown University, Marian prefers to work with academic projects that are about the humanities, social sciences, classics, ancient history, archeology, and more. With over 35 years of experience in the field, Marian is definitely a go-to choice for your academic copyediting needs. Maria offers copyediting, substantive editing, developmental editing, ESL editing, and even project management to assist in coordinating manuscript progress prior to publication. The best way to reach Marian is either through her website’s online contact form or via email. You can request a free project quote and more information should you be interested in her services. Based out of Kansas City, Tom Sullivan is a freelance editor with over 13 years of experience in the field. As the founder of Sullivan Wordsmithing, he offers a wide range of editing services like academic copyediting, proofreading, research assistance, and writing services. Since all projects vary in length, subject matter, and require different levels of editorial attention, you’re strongly encouraged to reach out to Tom and request a free project quote. You can do so by contacting him via email. Kerry Davies is an Australian freelance editor based in Queensland. With over 35 years of experience in the publishing and communications industry, Kerry specializes in working on academic and trade publications. Kerry is an official member of the IPEd and earned their IPEd Accreditation in 2011. Services that Kerry offers includes copyediting, manuscript assessments, proofreading, structural editing, and even research assistance. Kerry likes to work on a wide range of projects like journal articles, nonfiction books, magazines and newsletters, technical reports, theses and academic reports, and reference and guidebooks. You can request more information or a project quote by reaching Kerry via email. Gráinne Treanor is a freelance editor located in Derradda, Ireland. She is the founder and operator of Dot Your Eyes Editing and Proofreading, and has been a professional editor since 2013. Primarily specializing in nonfiction and educational material, Gráinne has over 10 years of experience as a lecturer, having earned a PhD in Moral Theology. She has worked with clients like Anne Hession, author of “Catholic Primary Education in a Pluralist Environment”, and Dr. Kevin Williams with the Center for Evaluation, Quality, and Inspection at Dublin City University. Services that Gráinne offers includes proofreading, editing, and transcription. Her prices are charged per 1000 words, but you’re strongly encouraged to reach out to her for more details and to receive a more accurate quote. Project quotes can vary depending on length, editing service required, and anticipated turn-around times. You can reach Gráinne via email to get started! Do you know of any other providers of academic copyediting services? Please tell us more about them in the comments box below!